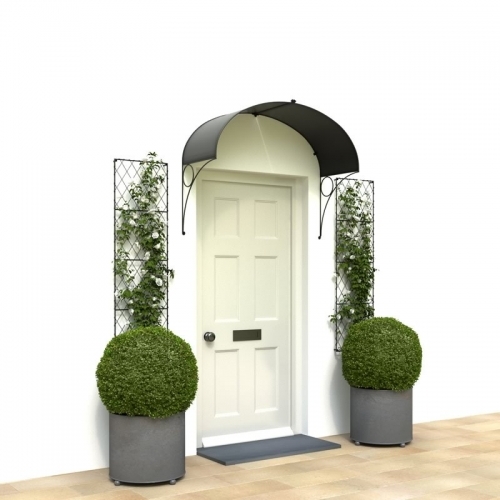 An 18″ deep Ellipse door canopy shown in a black painted finish. The 4’6″ high wall trellis panels and 18″ circular steel planters are shown in the aged galvanized finish. Our solid steel door canopy is hot dip zinc galvanized before painting matt Black or Grey, or can be Aged to achieve a mellow zinc patina that looks like a lead roof. The projection of the canopy roof is 18” but we can increase this if required. 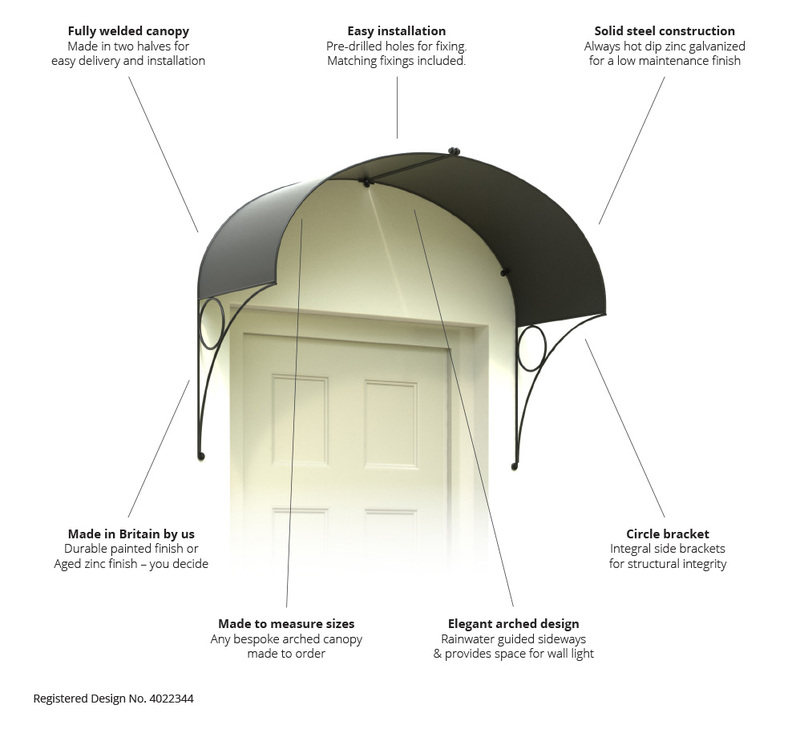 The curved roof canopy design allows the rainwater to fall sideways, not directly down onto the front door step. In March I bought two Ellipse door canopies in Aged zinc for my cottage. They look so right and look as if they’ve been there forever. The door canopy is made in two halves, packed for delivery with one side nesting inside the other for bolting back together on site. There are several lugs along the inside edges and an eyelet at the bottom of each bracket for receiving the hexagonal head coachscrews (supplied). To ensure a watertight fit, run a bead of clear, good quality roofing sealant around the canopy roof.